From Scotland, Ireland, Isle of Man, Cornwall, Cape Breton and the U.S.
Concerts, workshops, film, lectures, exhibits, genealogy, parade! [ Buy Tickets ] An all-star band of the new generation, Ímar boasts the prodigious talents of Mohsen Amini (Talisk) on concertina, Tomás Callister (MecLir) on fiddle, Ryan Murphy (Mànran) on pipes and flutes, Adam Rhodes (Barrule) on bouzouki, and guitar/bodhran guru Adam Brown (Rura). It’s no exaggeration to compare this line-up with the formation of Lúnasa, although the chances of Ímar still going strong in 20 years’ time are slim: these are all busy boys, I could have mentioned another half dozen bands where they ply their trade, so let’s make the most of this auspicious stellar conjunction. [ Buy Tickets ] Described as a folk fiddler with both speed and savage energy, Gus La Casse’s repertoire reflects his innovative spirit and dedication to the Cape Breton and Acadian fiddle traditions, playing both standards of the genre and his original material. Based in Downeast Maine, Gus maintains an active performance schedule as a solo artist and with other musicians including guitarist Peter Lindquist. Gus’ music has also taken him beyond Maine. He was the 2014 student in residence at The Acadia School of Traditional Music, appearing on the Canadian international television broadcast from the Congrès Mondial Acadien 2014. He traveled to Ireland as part of the Young Tradition Vermont touring group in 2016, and has enjoyed playing the legendary Club Passim in Cambridge, MA. Free and open to the public. Families will meet at the UMaine Art Museum to make drums, fairy wands and pirate flags and then parade from the Hannibal Hamlin Park to the Bangor Public Library Children’s room for snacks and stories. Join our head of Local History, Betsy Paradis at the Bangor Public Library for this demonstration and workshop on Irish Genealogy. She’ll walk you through using Ancestry.com so you can learn about your own ancestors. 10 am and 3 pm. Free and open to the public. 12-1pm at the Bangor Public Library Atrium patio (unless raining then inside). Free and open to the public. [ Buy Tickets ] This workshop will introduce new players to whistle techniques and perhaps learn a simple tune or 2. We will use tin/penny whistles in the key of D, the commonly used whistle in Irish music. Previous playing experience is not a prerequisite. We will attempt to accommodate various ability levels. Whistles will be available for loan/purchase for those who don’t already have one. (10$ to purchase). Chuck makes, plays and teaches Irish whistle, flute and Uilleann pipes. He leads Irish sessions in Bangor and lives in Ellsworth, Maine. [ Buy Tickets ] In Cape Breton dance came with the music from the “old country” when the settlers from Scotland, Ireland, and France settled on the great Island at the northern end of Nova Scotia. Over the centuries, a distinctive dance style was established that is related to the styles of their ancestors, but is clearly different. 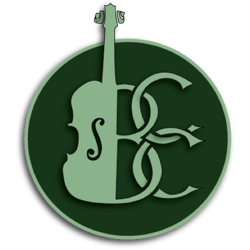 In this workshop, students will be introduced to some basic strathspey and reel steps that can be combined into a complete performance in the Cape Breton style. Students are encouraged to wear leather or hard soled shoes or tap shoes, if they have them. In the Bangor Public Library on September 29 from 1-2:30 pm in the conference room. Hermon High School students will read from Scottish, Irish and Welsh literature, and poems. Following the readings, Kathleen Toole will lead a discussion with the audience about the connections between Celtic folklore and the literature presented. Free and open to the public. [ Buy Tickets ] Scots and Ulster Scots have immigrated to North America in great numbers, bringing with them the song and ballad singing traditions of Scotland and Northern Ireland. I will trace the migration of songs by singing a song, or part of it, from its Celtic source and then singing the American or Canadian version illustrating both changes and similarities. Participants will be encouraged to ask questions, and to sing along on choruses and refrains. From 2:30-3:00 pm in the Bangor Public Library Conference Room. Dancers Angeli Perrow and Angeli Szucs will demonstrate the basic Irish steps that make up the reels, jigs, slip jigs and hornpipes of Irish dance. Free and open to the public. [ Buy Tickets ] It could be said that the music of Cornwall, the smallest of the Celtic nations, is often overlooked, especially when measured alongside her powerhouse brethren. But Cornwall boasts a rich music and dance heritage both unadulterated in it’s Celtic nature, and one hundred percent it’s own. Sharing a love of song with it’s Welsh neighbor, the Cornish have a passion for communal singing, whether part of a male voice choirs, pilot gig crews, or in the bar of the local pub. Chris Brinn will explore some of the more popular songs from his home town of Padstow, as well as some of the dance tunes from the lesser known Celtic stronghold of Kernow. [ Buy Tickets ] Modern Scottish Highland Dance is based on centuries-old traditions, the oldest of which is the Sword Dance. Highland dance at a competitive level is a highly technical and athletic form of dance. However, dances like the Sword Dance are also very accessible to people who want to learn the basics of this cultural treasure. In this workshop, participants will learn the fundamental steps that make up the dance. We’ll break down what look like complicated moves into basic repeating series of steps. Participants are invited to participate as much or as little as they would like, and no special equipment or materials are needed. [ Buy Tickets ] From ballads to shanties, including sea songs, lumbering songs, and love songs: traditional songs and songs in traditional style from Maine and from the Celtic World. [ Buy Tickets ] Irish born Multi Instrumentalist, Singer Songwriter is based in Philadelphia. He performs mostly on guitar and piano but also plays many more instruments from bouzouki/mandolin to irish and exotic percussion. Gabriel performs throughout the USA, solo and along with a cadre of top flight musicians. He toured for three years with the Grammy Award winning Chieftains. He has recorded with the Boston Pops, Eileen Ivers, Joanie Madden, James Keane, Sean Quinn, Brian Conway, John Whelan, Karen Mal, Aoife Clancy, Liam Clancy, to name a few. He also produces and engineers albums for a broad array of artists at Cove Island Productions in center city Philadelphia. A state of the art facility using top quality microphones and gear. The lists of artists he has collaborated with, is a who’s who of the top musicians in the acoustic and celtic music field. He performed with Michael Flatley at the National Heritage Awards in Washington DC. And played with Eileen Ivers at the Clinton Whitehouse entertaining Irish and American dignitaries and signers of the Good Friday peace accords. [ Buy Tickets ] Born and raised in Foot Cape, Cape Breton, from ages 8 through to 17 Ian MacDougall studied fiddle under the guidance of cousin and prolific composer John MacDougall. With a lively driving style, he has become one the most sought-after dance and square dance players around. Ian has two albums to his credit, “From Foot Cape” and “Before You Arrived.” Ian MacDougall, 25, attributes his success to the years spent studying under John MacDougall – a distant family relative. Every Sunday, from the age of 8 to 17, Ian’s father would faithfully drive him up to John’s trailer at the outskirts of town where he practiced the fiddle. “I don’t think I missed two weeks,” he says. “I never had to pay a nickel.” With two albums of traditional music under his belt, and a full play schedule, Ian MacDougall is now considered one of Cape Breton’s best traditional fiddlers.